Dazey, Mary Ann Tharp. A Stylistic Study of the Public Addresses of Senator John Stennis of Mississippi. Ph.D. dissertation, University of Southern Mississippi, 1981. Downs, Michael Scott. Advise and Consent: John Stennis and the Vietman War, 1954-1973. Journal of Mississippi History 55 (May 1993): 87-114. ___. A Matter of Conscience: John C. Stennis and the Vietnam War. Ph.D. dissertation, Mississippi State University, 1989. Fry, Joseph A. Debating Vietnam: Fulbright, Stennis, and Their Senate Hearings. Lanham: Rowman & Littlefield Publishers, 2006. Stennis, John C., and J. William Fulbright. The Role of Congress in Foreign Policy. American Enterprise Institute Rational Debate Seminars. Washington: American Enterprise Institute for Public Policy Research, 1971. U.S. Congress. Senate. 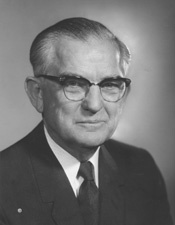 Memorial Tributes Delivered in Congress: John Cornelius Stennis 1901-1995, Late a Senator from Mississippi. 104th Cong., 2d sess., 1996. Washington: Government Printing Office, 1996.